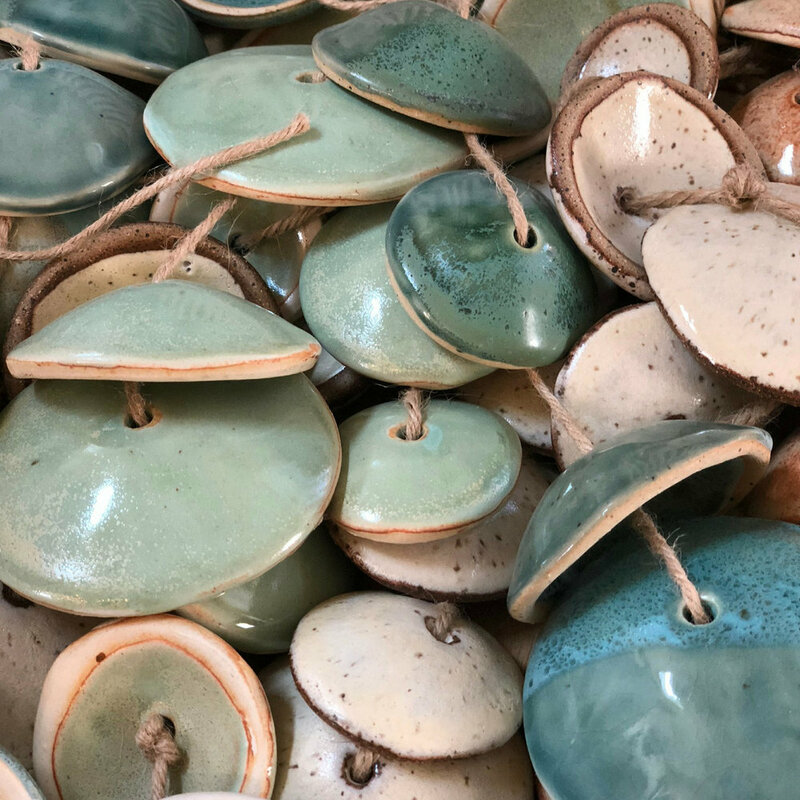 My ceramic work is all handbuilt and inspired by nature and patterns, vintage American pottery and my passion for gardening. I am still experimenting and learning, playing with surface design and shapes and forms while I try and figure out my creative voice and what I want to say to the world. I love working with clay and am always surprised by the many lessons it teaches me along the way. You will often find me in my studio with Daisy, my dog, who enjoys keeping me company.